I left the Hampton Inn in Durant, Oklahoma, about 10 am this morning. I drove to Dallas connected to 635 East and then exited onto Hwy 80 East toward Longview. I needed some gas so exited at the Belt Line Road exit. I stopped at the Chevron station to fill up my tank. As I was pumping the gas a man, by the name of Chris, walked up and said they were having a promotional for CW1 polish which is used by the NASCAR drivers. He asked if he could demonstrate it by polishing a portion of my car. I said, “Sure!” He sprayed it on and then rubbed it off. I looked at it and said, “You missed a spot.” He laughed and his buddy Joey who was standing by their outside table hollered out, “I’ll do the whole car for twenty dollars!” We all laughed! I told them I was so lazy that I didn’t even wax my own car. I went in to get my receipt for the gas and as I walked out Chris was standing by their table alone and so I walked up and gave him one of our church Gospel tracts. 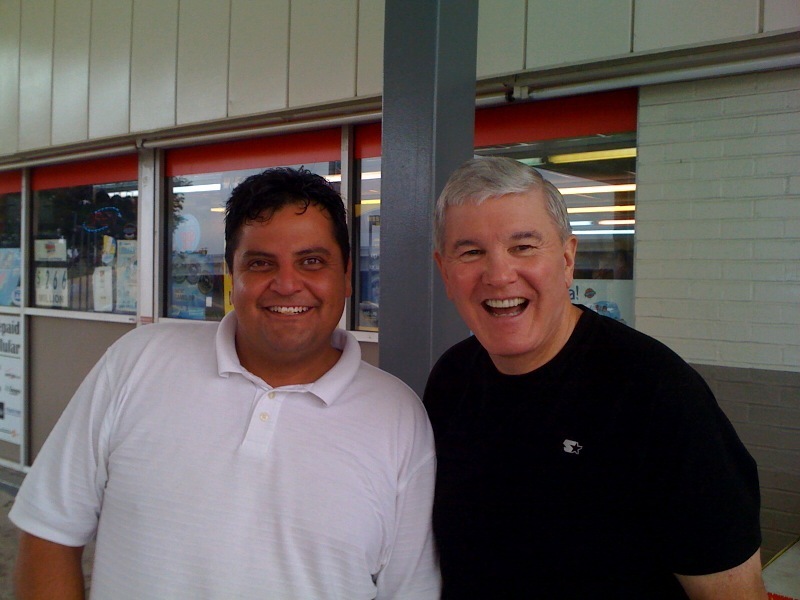 He told me that he trusted Christ when he was 14 and recently had led his mother to Christ who was a Catholic. We rejoiced! When Joey returned I told him that I was talking to Chris about being born again. I gave him a church Gospel tract and asked him if he were to die today did he know for sure that he would go to Heaven? He said, “No, I’m too big of a sinner!” Will guess what happened after that? In a few minutes after presenting him the Gospel he bowed his head and took me by the hand and prayed to trust Christ to pay for all of his sins he had committed and yet to be committed. WOW! Gotta love soul winning!